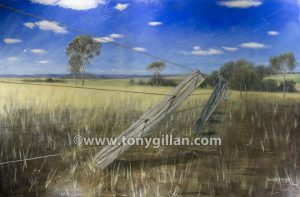 Tony Gillan is a fine-artist specialising in portraiture and figurative paintings. He grew up in Brisbane and is now living and working in Melbourne Australia. Tony has just finished his second body of work titled “20 Days”. The upcoming exhibition will feature 20 main paintings and many supporting drawings produced around the theme of 20 creative days in the life of Tony.